AMS Instrumentation and Calibration introduces the latest version of Michell’s market-leading 2-wire Easidew dew point transmitter. 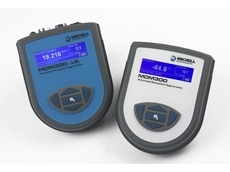 Michell Instruments announces the launch of their flagship S8000 precision hygrometer range with improved features, common user interface and new look. AMS Instrumentation and Calibration presents the MDM300 portable dew-point hygrometer from Michell designed for spot checks of moisture in hospital environments to ensure safety of surgical air and reduce risk of infection. The MDM300 I.S. 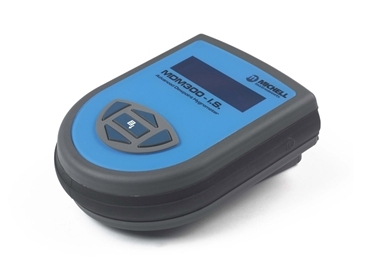 portable hygrometer from Michell Instruments is designed for fast, easy and ergonomic operation in hazardous areas, making it ideal for checking the dew point in hydrogen cooled electricity generators. 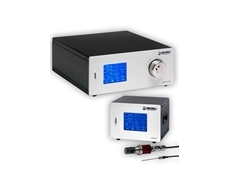 Michell Instruments is a pioneer in dew point measurement technology. Michell’s portable hygrometer will help maintenance engineers in modern power stations save time while carrying out critical maintenance checks. Depending upon plant requirements, water dew point in hydrogen coolant can be continually monitored with online instrumentation or spot checks taken using a portable measurement device. An online solution has the advantage of continuous monitoring and alarm capability should the dew point rise above an ambient level but a portable ‘spot check’ instrument offers a cost-effective and flexible solution, which can be used across the site for periodic checking or as back-up to an online system. 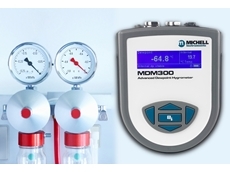 As the primary device for monitoring dew point levels in the hydrogen coolant, the MDM300 I.S. portable hygrometer offers adaptability and ease of use across multiple applications. The MDM300 I.S. maximises operational efficiency by taking as many measurements as required from different applications across a whole site with no waiting time in between readings. The hygrometer is also suitable for other applications on site such as the measurement of moisture in SF6, natural gas and instrument air. The MDM300 I.S. offers proven performance in ensuring the safety and reliability of hydrogen-cooled electricity generators. 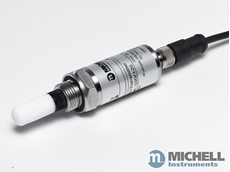 Michell Instruments is represented by AMS Instrumentation and Calibration .